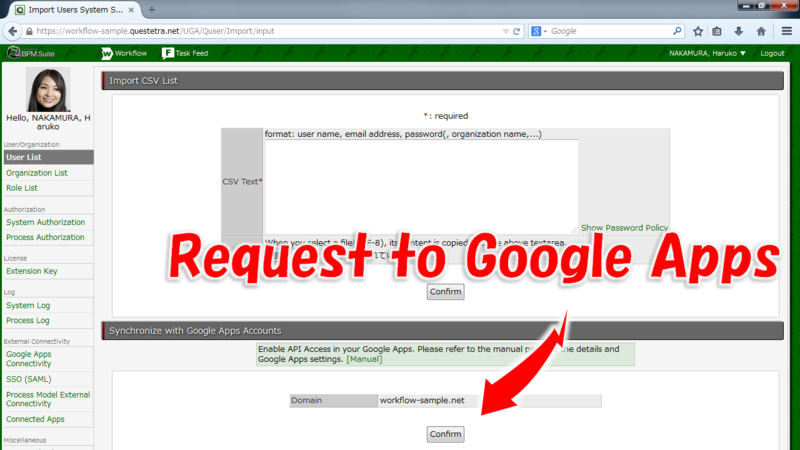 If you were using the Cloud based office suites "G Suite", it will take a big effort to manage all the Users similarly in both G Suite and Questetra. 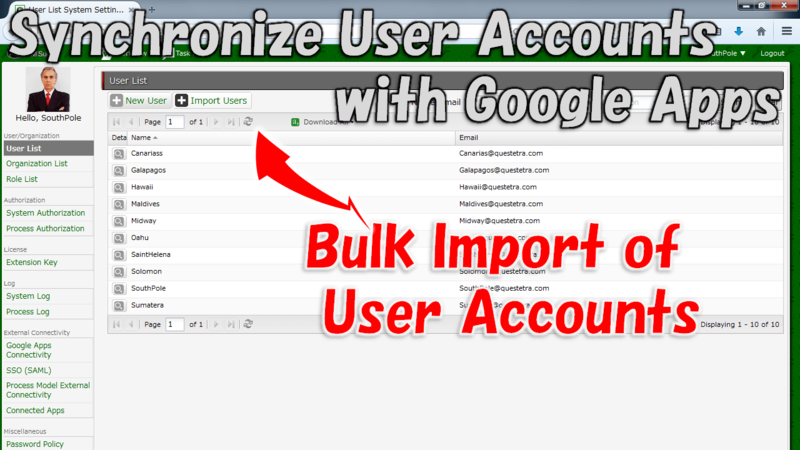 You can import "Organization", "User", "Group" from G Suite via APIs and register them in bulk as [Organization], [User], [Role] in Questetra. 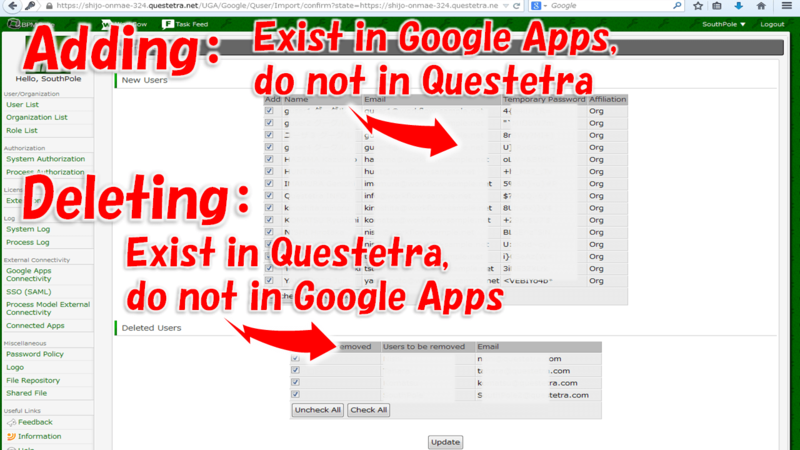 Questetra does not support "Multi-Domain"